December’s monthly meeting will be our first ever Holiday Meet-Up! 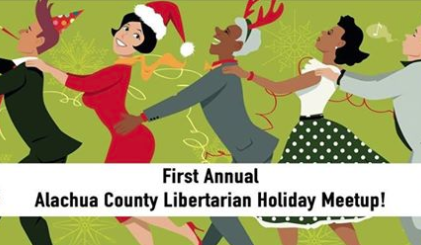 Come to Ballyhoos for dinner and enjoy the good company of other liberty minded members of our community and group as we quickly go through our club business and otherwise celebrate the holidays, the success of our group in 2016 and as we look forward to our growth in 2017. This will also be the meeting where we will vote for our officers for 2017. Come join us and make your voice heard!